Love the city lights? 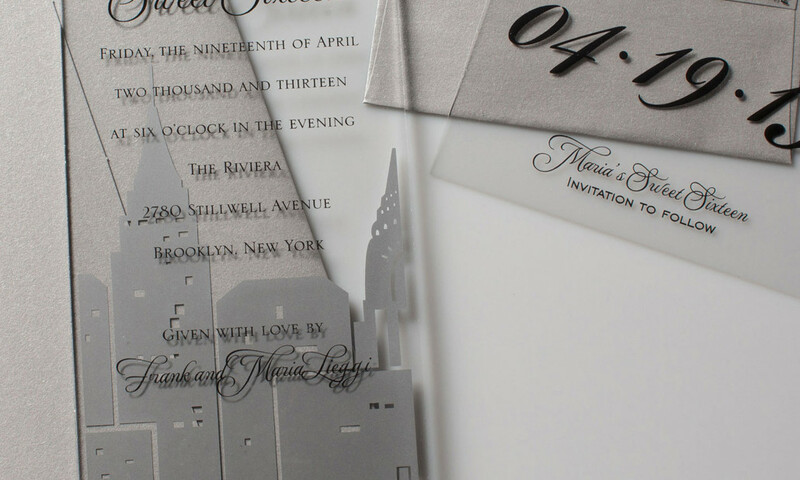 This acrylic invite has a whimsical NYC skyline printed on the back and party details on printing on the front. 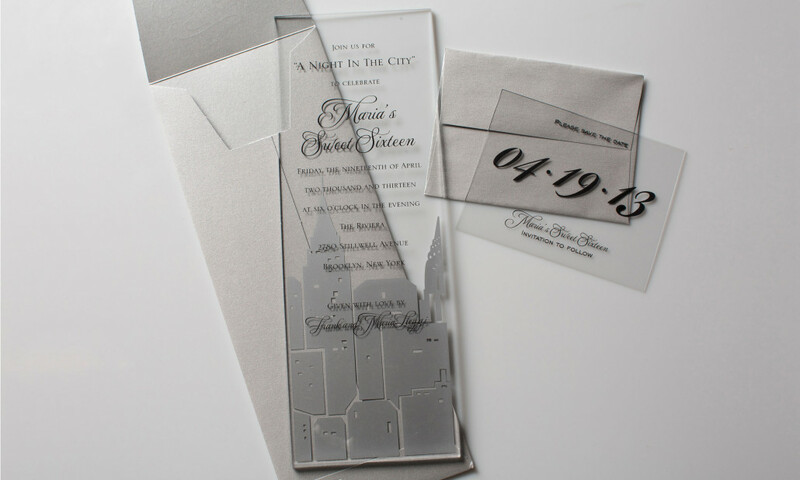 The set shown with coordinating save the date and matching silver envelopes.